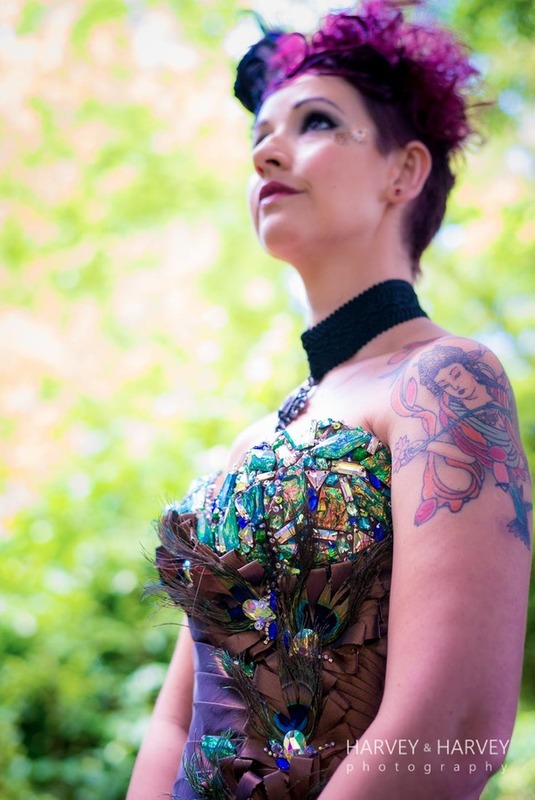 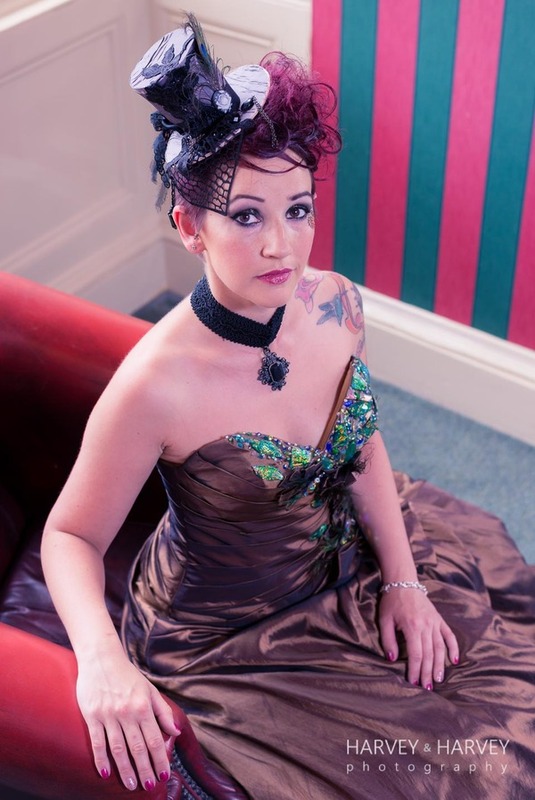 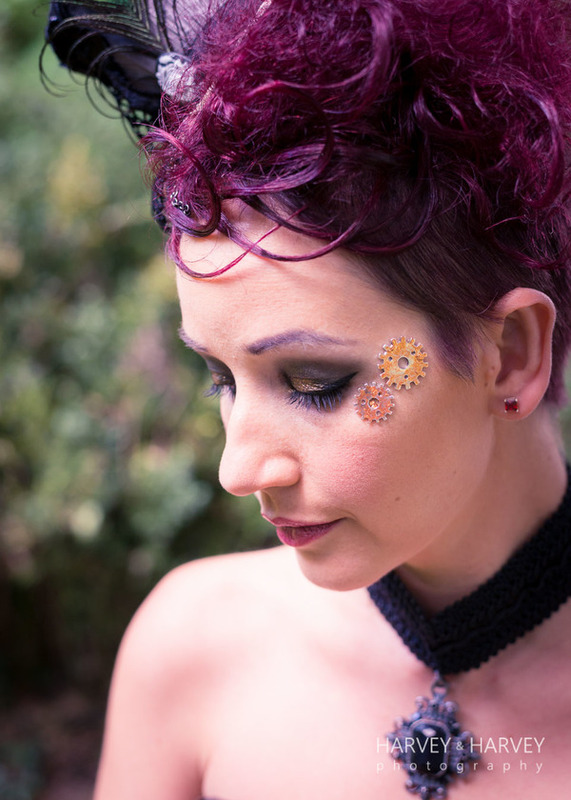 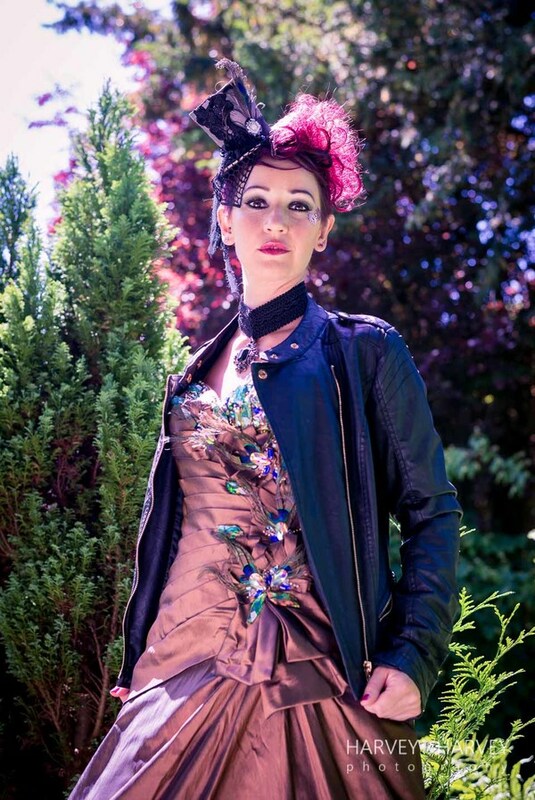 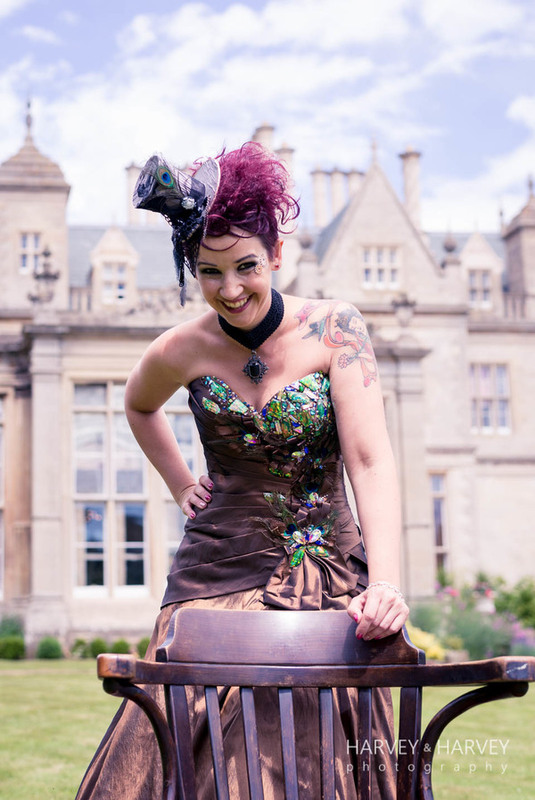 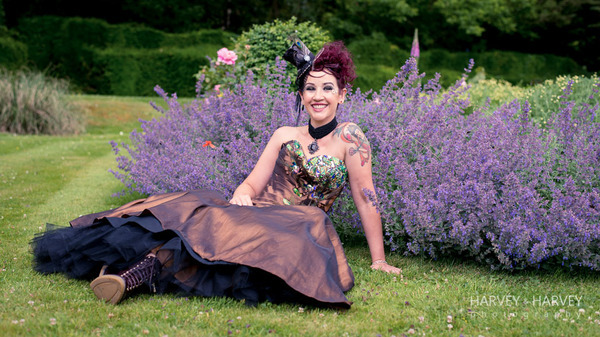 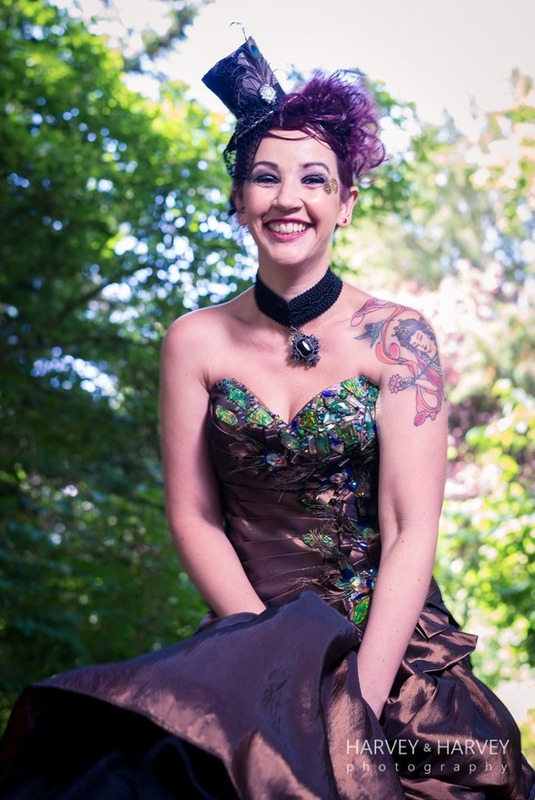 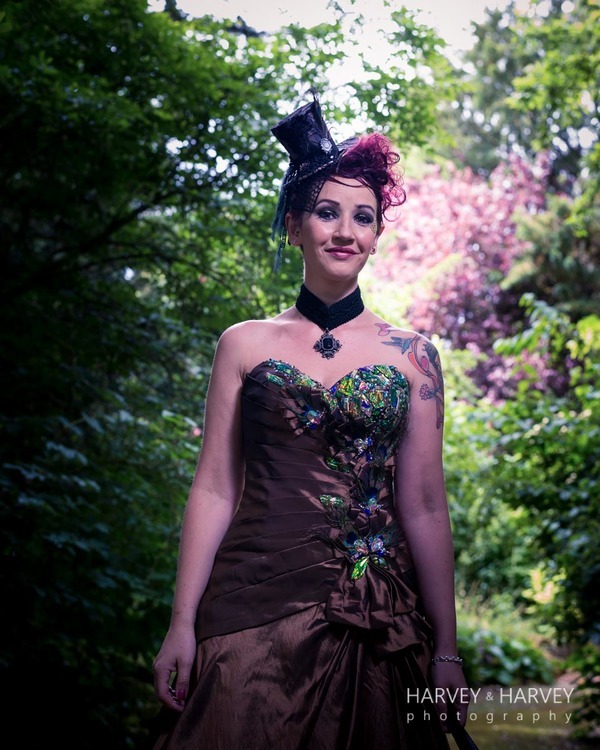 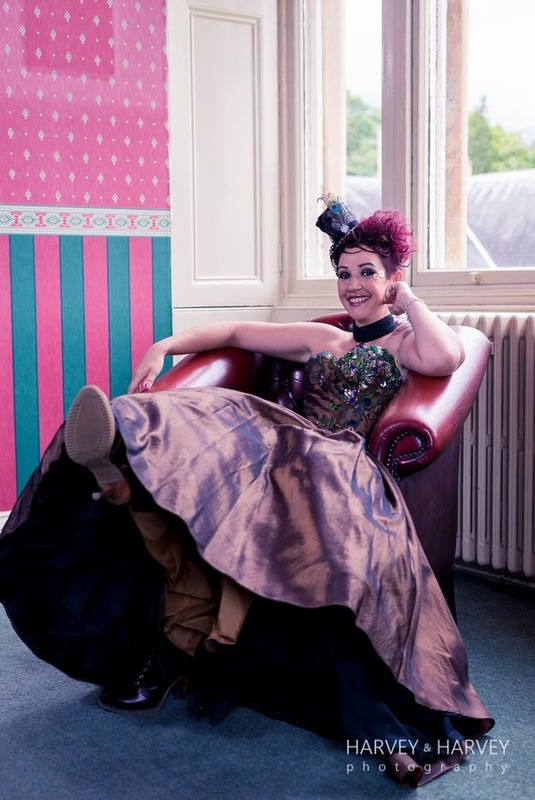 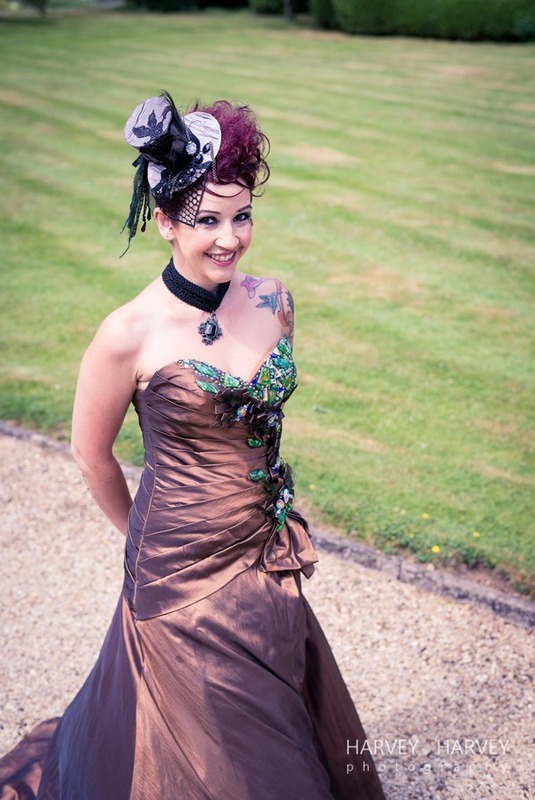 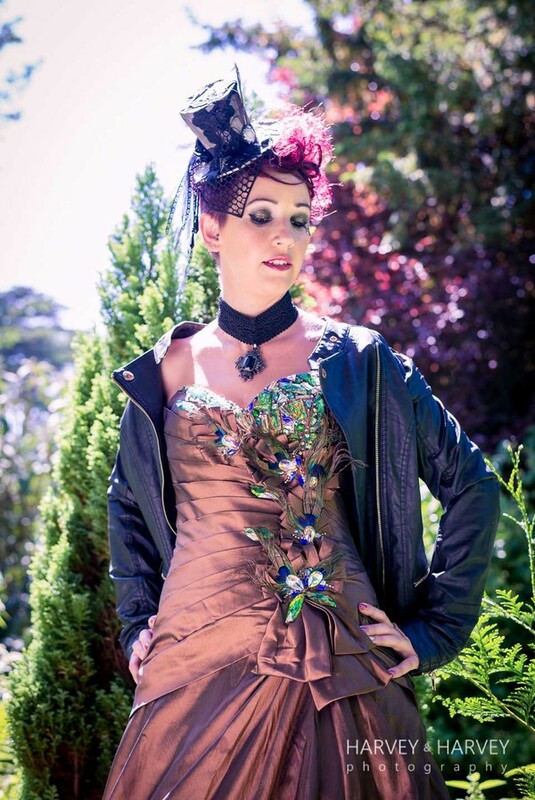 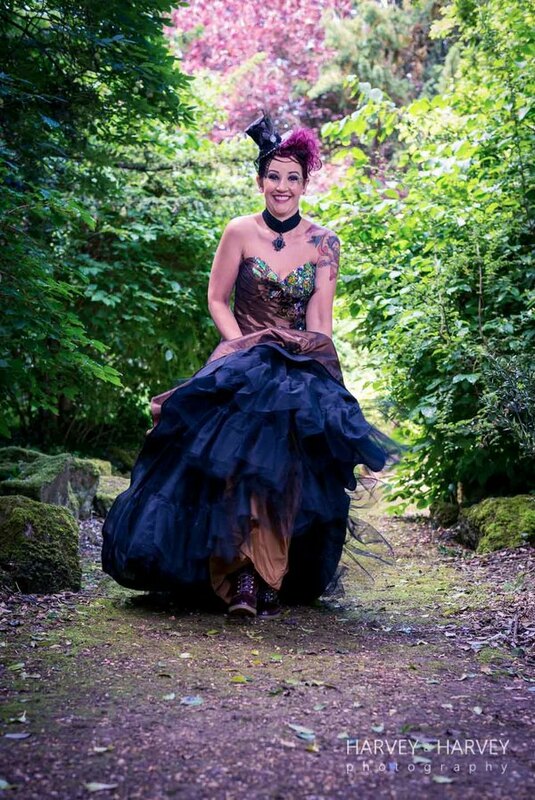 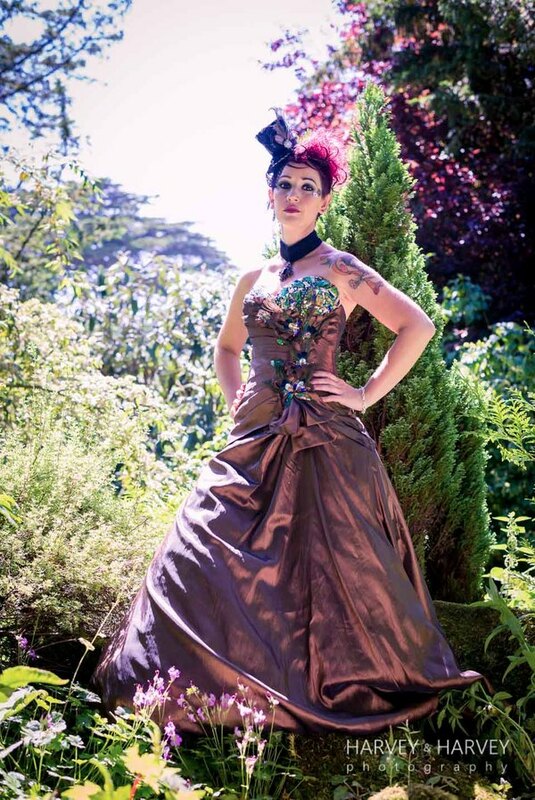 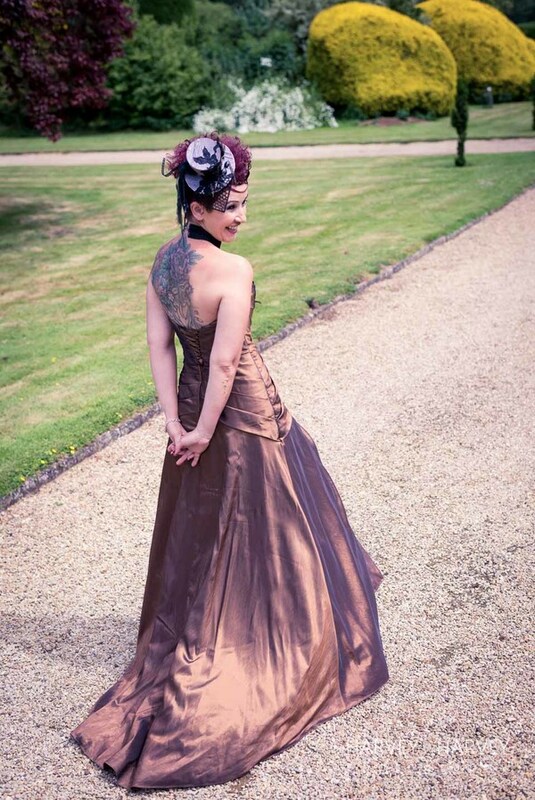 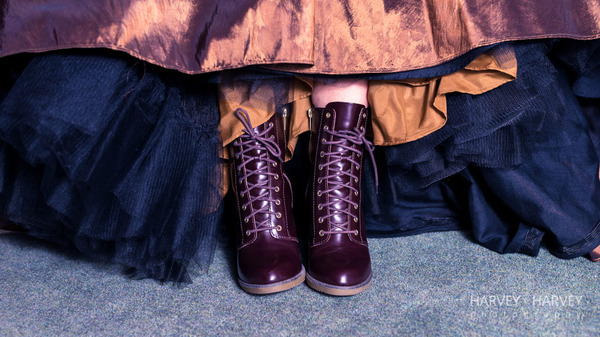 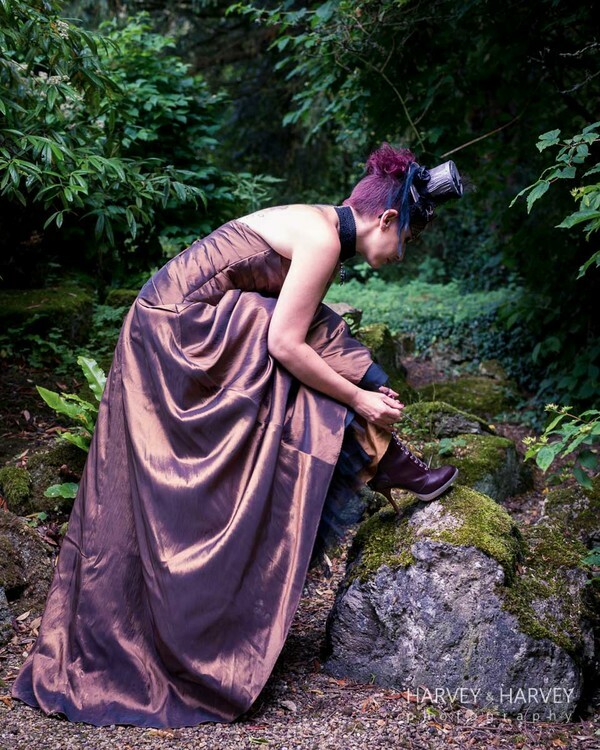 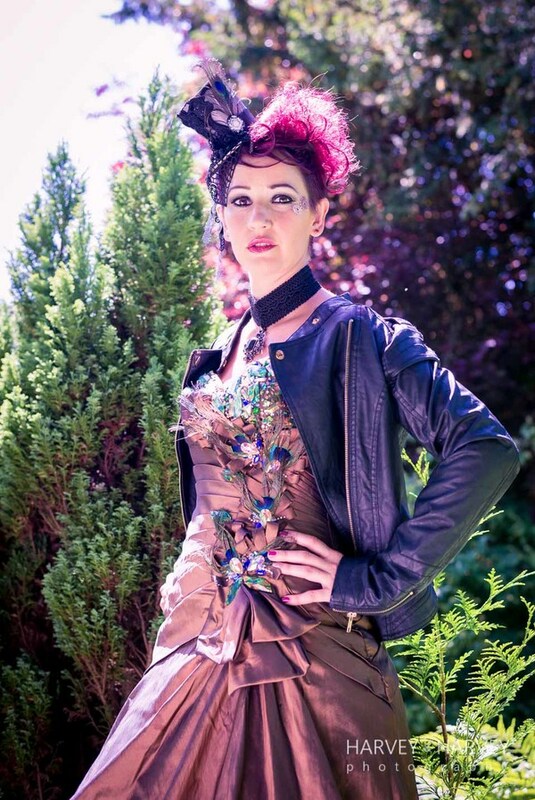 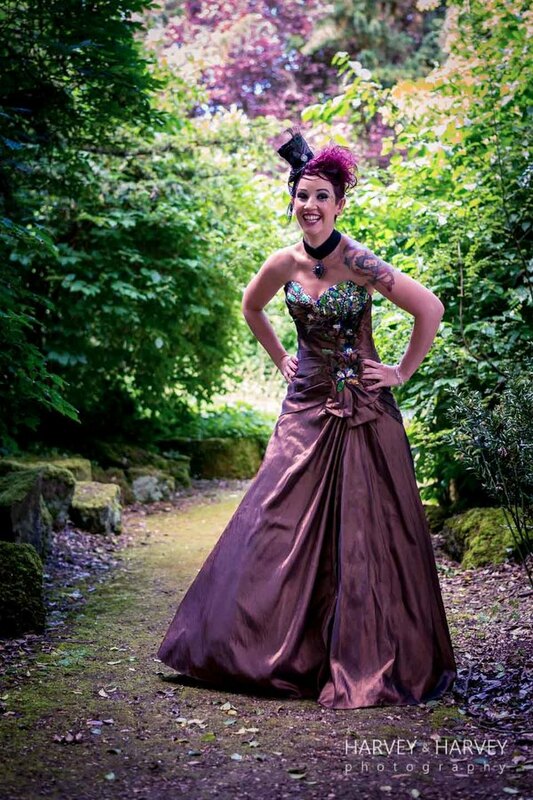 Today I am excited to share this fabulous Rock your Wedding Dress shoot with a steampunk vibe. 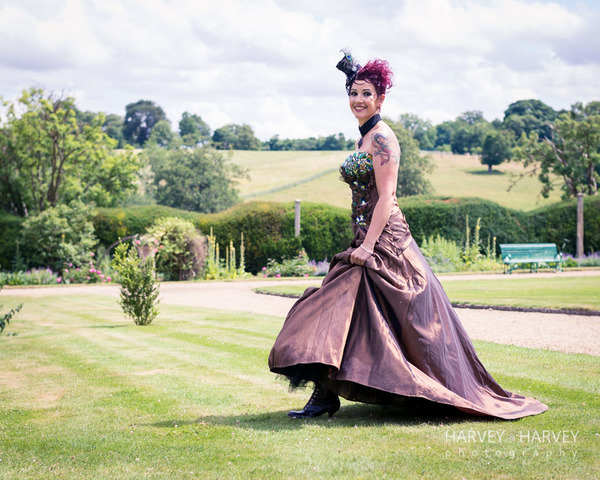 The shoot came about from a ‘Rock your Wedding dress’ competition that the amazing Harvey & Harvey Photography ran at the beginning of the year. 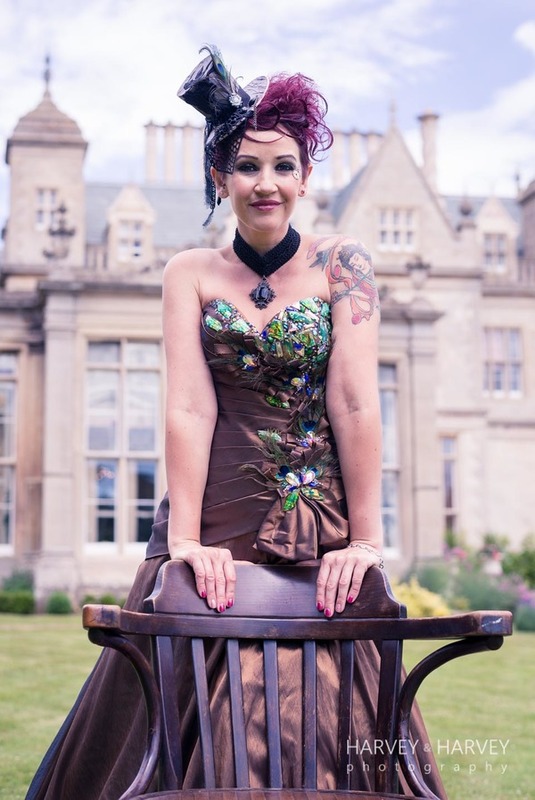 All images were captured at the magestic Stoke Rochford Hall. 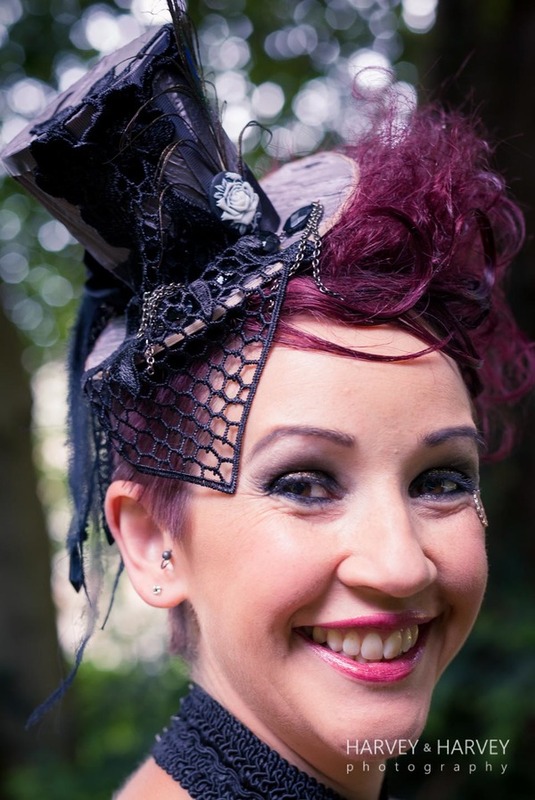 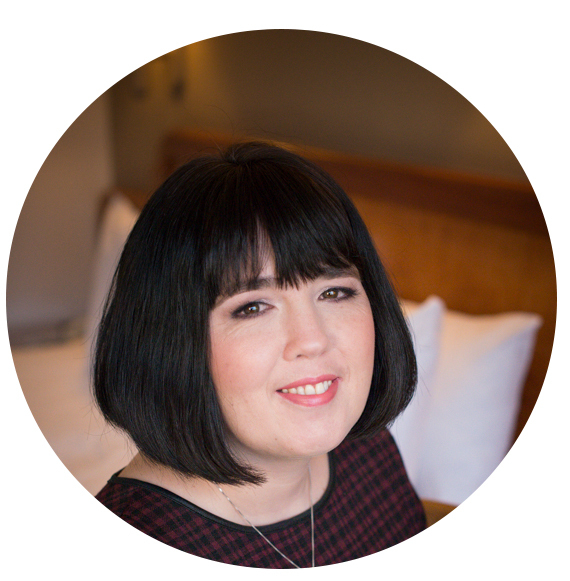 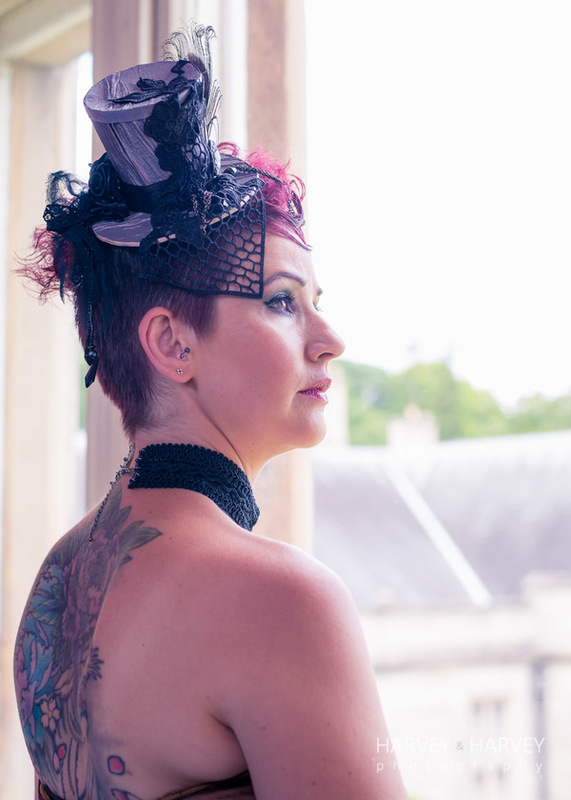 “Paula and Charlotte’s work on the hair and make up were outstanding, wonderfully creative and it was all topped of with a hat designed by Amy Weaver from the Doll’s Mad Hattery which we just loved! 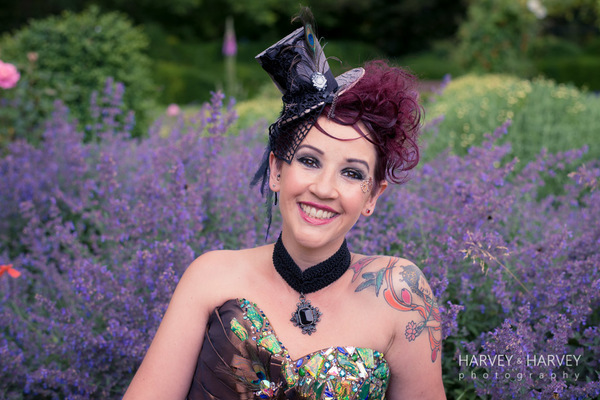 Thank you so much to Harvey & Hrevy Photography for allowing me to share this amazing Wedding Dress Shoot. 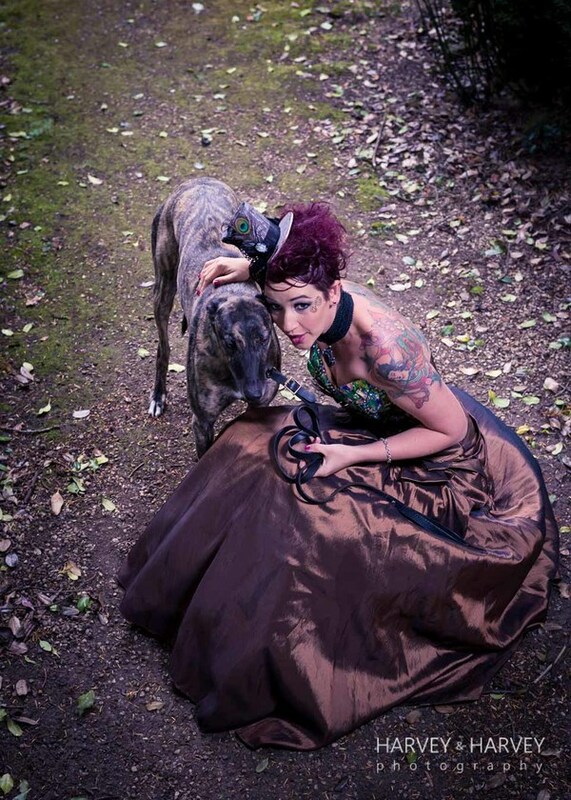 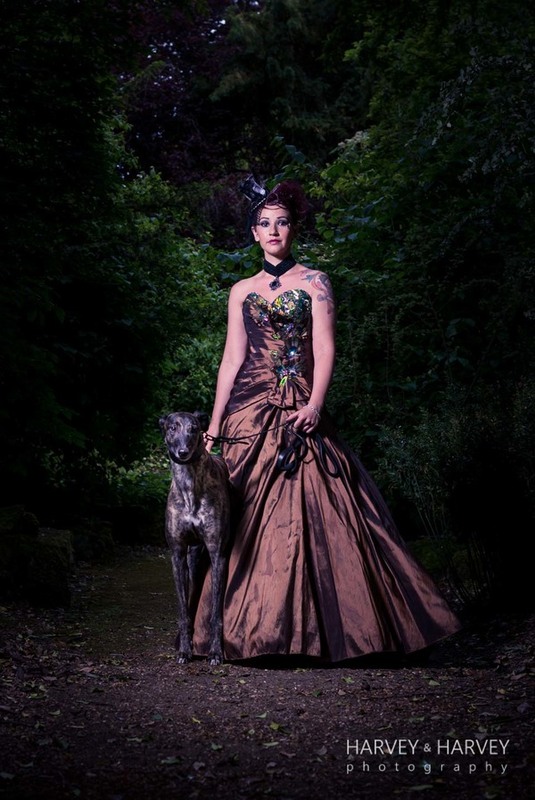 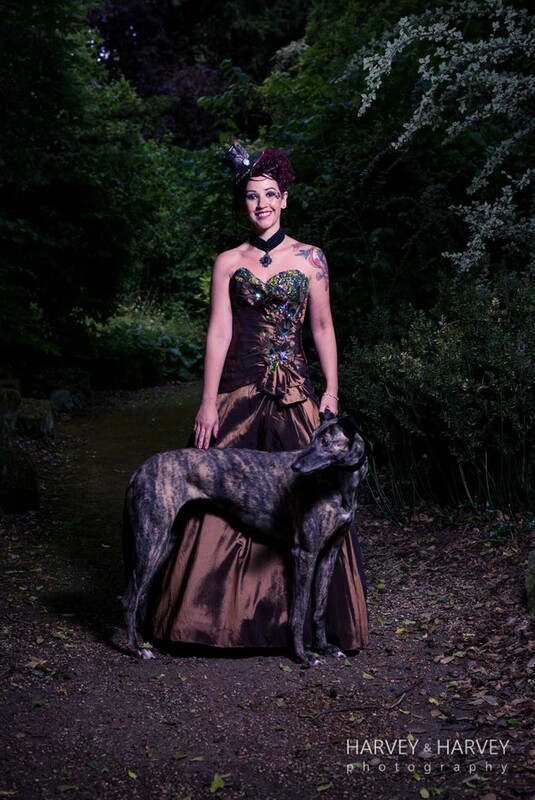 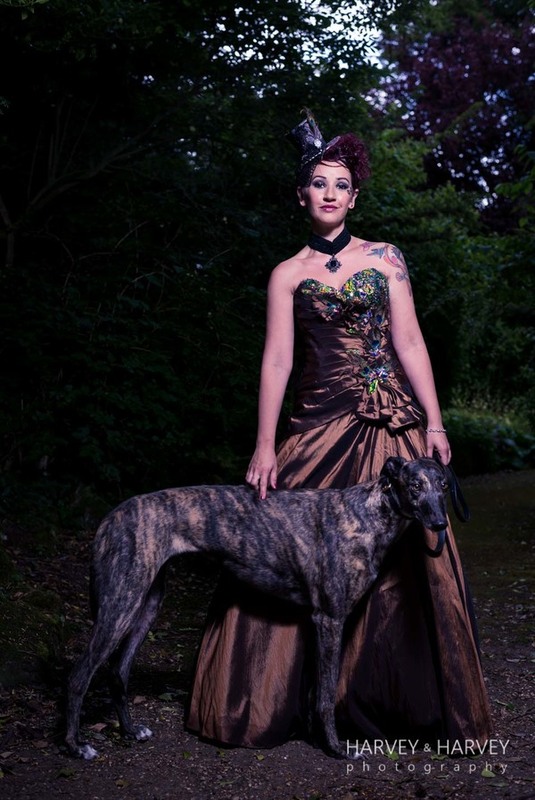 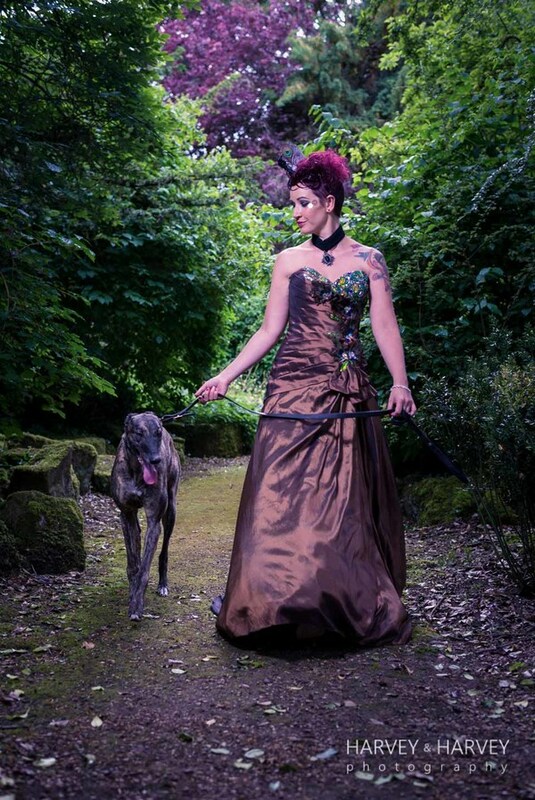 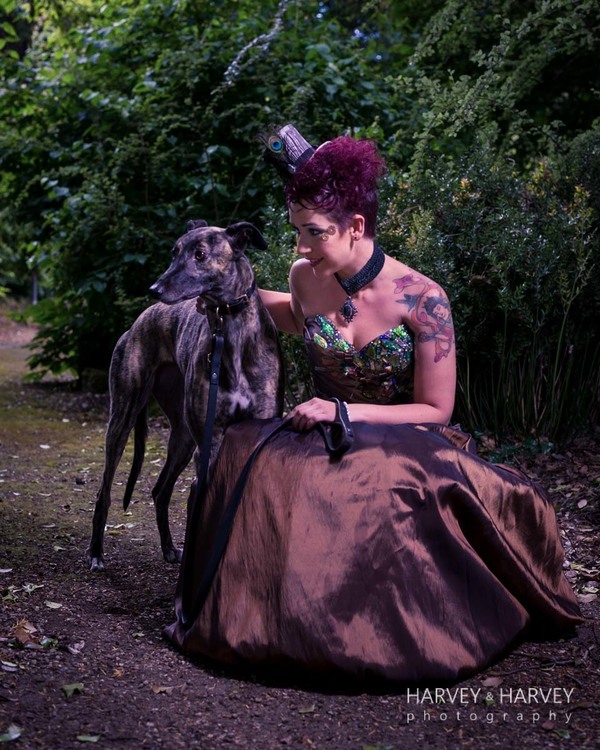 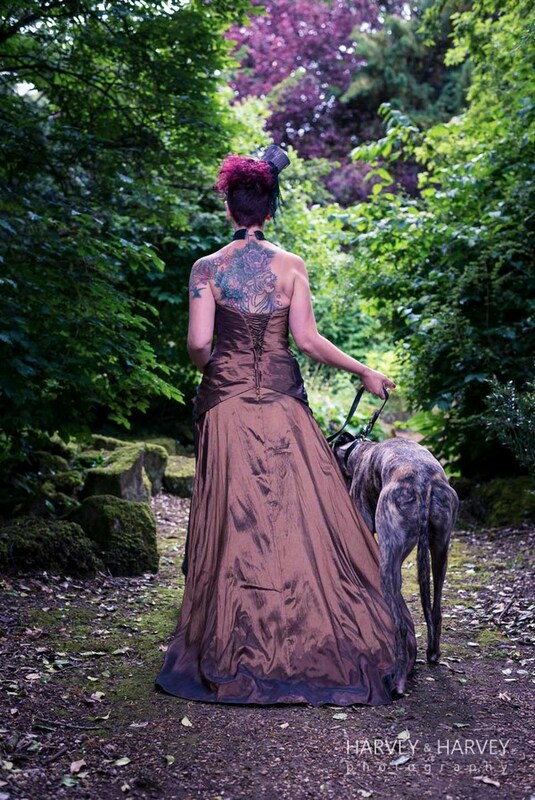 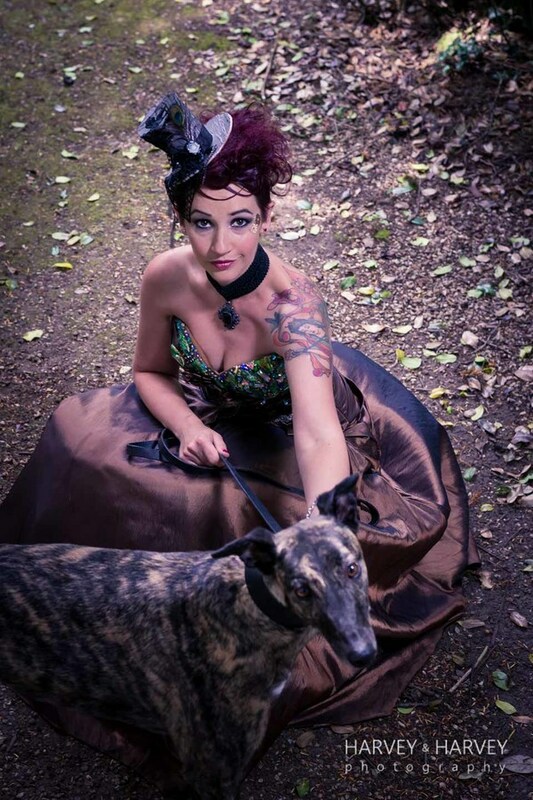 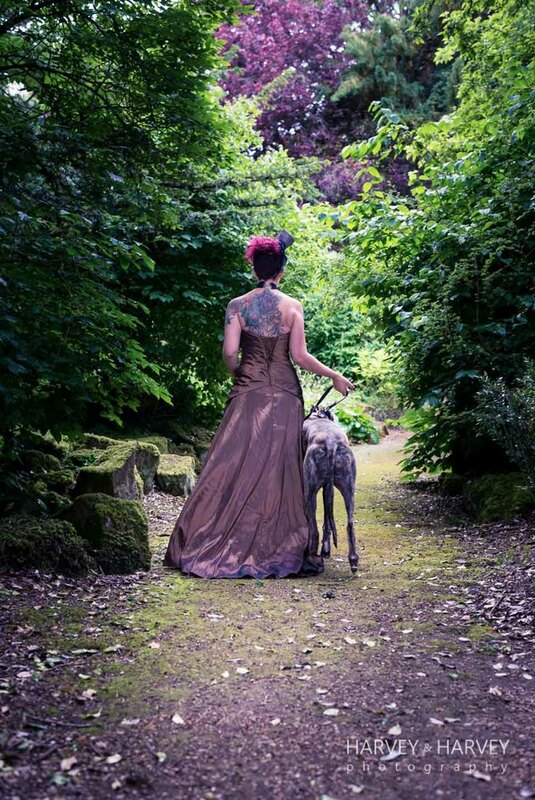 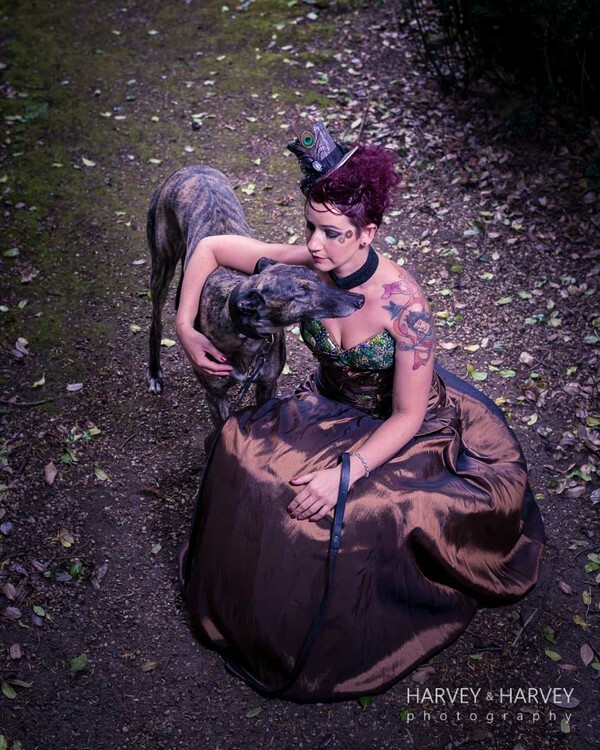 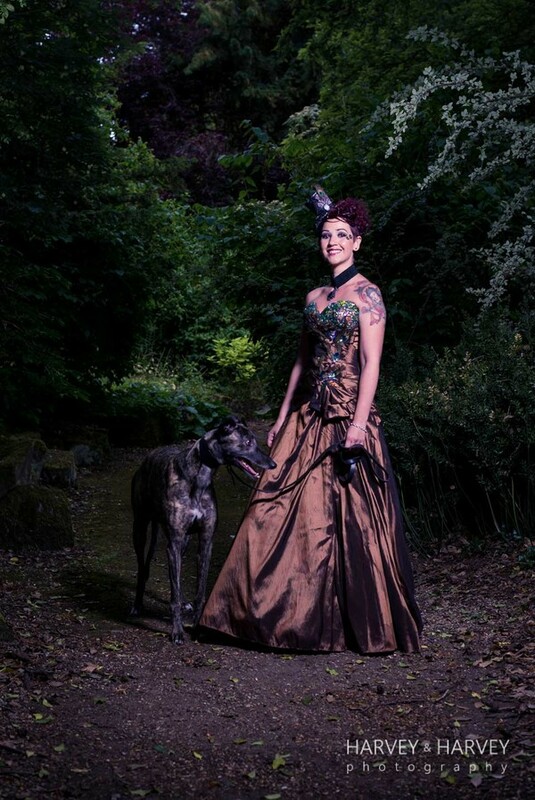 Alex looks incredible and pulls off the Bride with edge look fabulously, and isn’t Lola the greyhound just darling… the perfec t model and a superstar pooch in the making.